Napoleon’s eFIRE app will revolutionize the way you use your fireplace. We have cracked the code and present to you the first fireplace to be controlled by Bluetooth® technology, using an intuitive app on your mobile device. 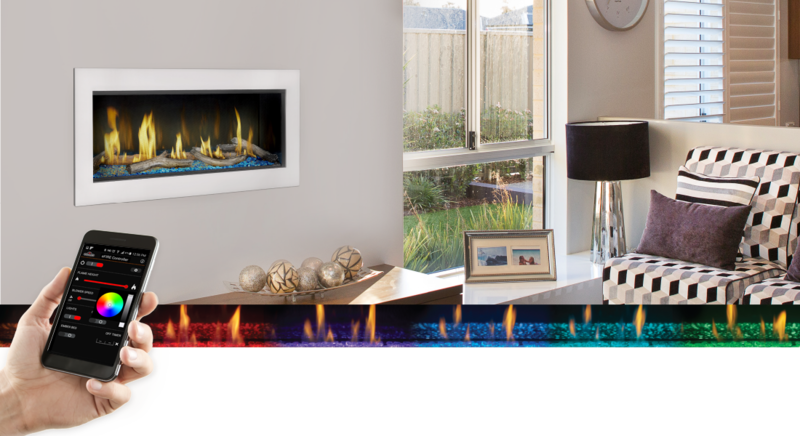 The eFIRE application allows you to create every imaginable color, selecting the one that fits your current mood, or your décor with ease, the simple color wheel tool swiftly scrolls through the full color spectrum. Napoleon’s eFIRE app controls every function of your fireplace including; on/off, flame height and blower speed. Total convenience.